Biochar reduced NH3 emissions by 77% compared to the slurry control and biochar resulted in a reduction 63% in cumulative N2O loss compared to the slurry only treatment. 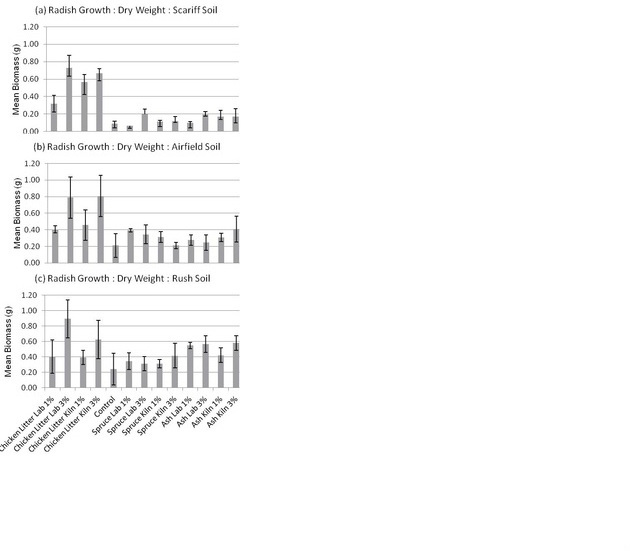 Trial result on the effect of different biochars on different soils at different rates on growth of radish. Teagasc research. Chemical amendment of slurry to control phosphorus losses in runoff. University College Cork. 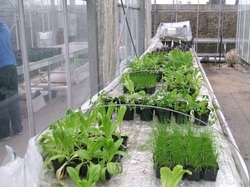 Final year project carried out by David Rice using our biochar as an amendment to John Innes No2 compost and sand. Plants grew taller, heavier, had more leaves, less pests, less stress and were healthier when the biochar was mixed with J.I. No.2 when compared to the sand medium. Note that their were less aphids on the oats grown with biochar than the controls. Impact of 2 biochar addition to soil on greenhouse gas emissions following pig manure application.